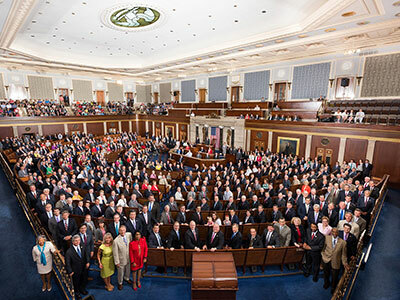 This briefing series provides specific guidance on the most fundamental challenges facing Congress in 2015 and 2016: an outdated U.S. security strategy, serious and often overlooked human rights crises, the complicated U.S.-China relationship, and changing economic and trade realities affecting U.S. prosperity. The 114th Congress has the opportunity to drastically restructure and modernize the U.S. rebalance to Asia over the next two years. Since the rebalance began in 2011, successfully navigating U.S. interests in the Asia-Pacific while upholding human rights and political self-determination has proved exceedingly challenging for U.S. policymakers. Add to this difficult equation the need to strengthen U.S.-China relations and simultaneously update U.S. alliances across the region, and Congress has had its work cut out for itself. NBR’s briefing series “Four Priorities in the Asia-Pacific for the 114th Congress” provides specific guidance on the most fundamental challenges facing Congress in 2015 and 2016: an outdated U.S. security strategy, serious and often overlooked human rights crises, the complicated U.S.-China relationship, and changing economic and trade realities affecting U.S. prosperity. The series’ authors, Van Jackson, Frank Jannuzi, Charles Freeman III, and Derek Scissors, offer concise background information on these challenges alongside pragmatic recommendations for lawmakers and their staff. On the security front, Congress must immediately address more frequent cyberattacks, declining U.S. technological superiority in the Asia-Pacific, and North Korea’s nuclear program. Congress should strengthen the military capacity of U.S. allies and craft a cogent security cooperation policy. These efforts should avoid exacerbating a U.S.-China strategic rivalry. Instead, U.S. officials should take care to build trust with their Chinese counterparts while inviting China into an international order grounded in rules, territorial respect, and transparency. Congress must also grapple with discouraging barriers to foreign investment in India despite Prime Minister Narendra Modi’s recent overtures to the international community. In China, slowing economic growth, ongoing industrial espionage, and the marginalization of the U.S. business community and international financial institutions may be stalling trade and investment relations. Given these economic obstacles in Asia’s most populous countries, Congress has the opportunity to prioritize strengthening trade relationships with Japan and Southeast Asia through the Trans-Pacific Partnership. Finally, Congress must ensure that all U.S. economic and security initiatives respect human rights and civil society in the Asia-Pacific. Ethnic cleansing in Myanmar, widespread political repression across the region, and the 70th anniversary of the end of World War II necessitate strong congressional pressure for international reconciliation and the protection of ethnic rights and basic civil liberties.